Okay, let me be quick. Project Runway is starting in 90 minutes, I don't have Tivo or a DVR, and I'm just finishing up some snickerdoodle cookies. 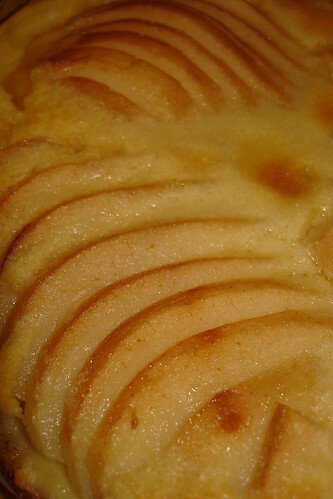 This morning, I tried to make the Pear Custard Pie from that same Everyday Food holiday issue. Um, I'm not feeling it with this issue...I made three things - and two of them met with Mr. Trashcan. This was really easy to make - cut pears and put the custard ingredients (including three eggs) in the blender! But the custard was overpoweringly eggie (or is it 'eggy')? I'm not the biggest fan of the egg-related dessert so I thought my palate was oversensitive. I had Jessica try it at work...and the YA Librarian says it tastes like an egg custard topped with baked pears. Exactly what I was not going for. Anyway, this guy met the library's Mr. Trashcan! P.S. There is a Foodie Blogroll on the right hand side. If you want to browse other blogs, check it out! 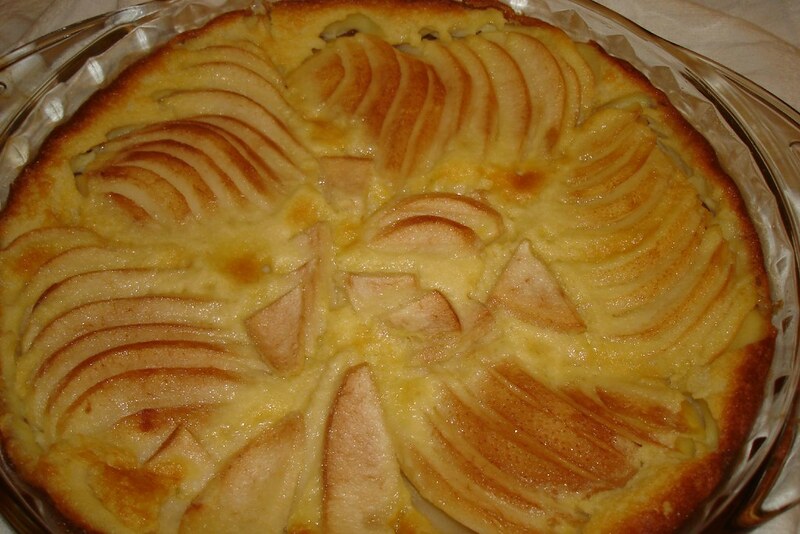 given the discussion i had with chef d - it is possible that you have to give the pear tart another shot...a consulation with the chef can happen so you can work out a strategy - if you're interested.